Its strange how someone’s presence make us forget the Past life. A married couple who once feels complete with each others presence in their lives, could not imagine their lives without their Kid now. It started feeling like as if their life was incomplete which was once fulfilled. We have felt that way. Though, we never felt as if something is missing before but now, Life seems more fulfilling and promising. Its seems yesterday our little one was born and now he is a Preschooler. Our routines started revolving around him more. Our chit chats does not complete without discussing his naughty acts. Our day ends playing with him, collecting the scattered toys and feeling thankful after putting him to sleep. I am thankful for his School and various activities which keeps him active. A mention of going to School makes him happy and jump around. Though, it was a difficult task choosing the right Preschool for him but now I feel we took the right decision. Not only my Toddler but April Blogging challenge too kept me on my toes throughout the month. I am grateful for being able to complete the challenge despite guest visiting. 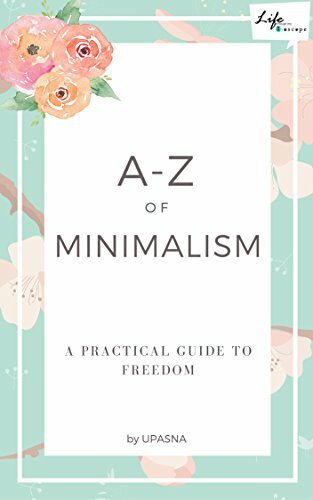 This challenge gave me enough courage to come up with my first E-book titled “A-Z of Minimalism : A short guide of Freedom”. Now it seems worth sacrificing my sleep for. I am thankful for the support I get from fellow Bloggers without which I would not imagine myself at the end of this. I am thankful for the Sundays which helped me refresh and unwind. Being settled in the City of gardens, I could not thank enough for the parks, open skies and the greenery. My weekend does not seems complete without a visit to one of these joyful and lively Parks. One weekend while my Son and I was driving back home, an Auto rickshaw came from nowhere forcing me to apply quick brakes. Thankfully we were belted and saved. I attended my Friend’s wedding till the dawn. This was the first time my Son was away from me for the whole night. Thanks to my supportive Husband and Family who took good care of him. Summers approaching high and I am thankful to our Cooler which makes our nights comforting. All the little things in life add up to such big things if we only start applying gratitude to it – lovely post Upasna and congrats on the e-book!!! Oh, the little things to be thankful for! I believe in writing things down to remember to be grateful for the blessings in our life. Great one, Upasna. Indeed an amazing month that went by Upasna! You’ve done brilliantly despite all the hectic times at home. Congrats and best wishes for the ebook. Hard work definitely pays off! Here’s wishing you many more eventful achievements in the months to follow! Happy for completing A to Z challenge successfully. Really I enjoyed every post on that series. And I would love to have your e-book. How shall i get it? And I just linked up Upasna. I am reading this empowering post a second time and soul curry for the soul. I don’t need to say that, I guess but still! You are an efficient multi-tasker and keep writing. The reflections you make on life is beautifully inspiring. Multi-tasker, No no i don’t want to be the one. Thanks for the kind comment Vishal. I did not had much in my mind but when I started writing, there were many things I was grateful for. I hope you can linkup this time too.